In episode 277, Douglas Brown interviews Arron Fu, Founder and Vice President, Software Development at UniPrint. Plus, we are happy to have Sagnik Datta, Technical Marketing Specialist at Citrix Ready with us. Together we will discuss what’s new with the UniPrint VDI, Mobile, and Cloud printing solution for Citrix and much more! 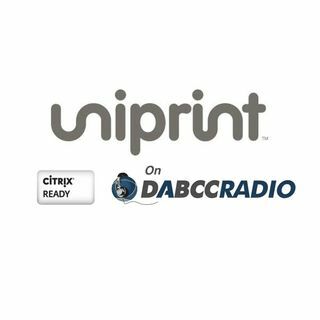 UniPrint Infinity™ printing solution eliminates Citrix printing issues and extends the capabilities of Citrix XenApp/XenDesktop technology to ... See More printing. Based on its patented, award winning PDF-based Universal Printer Driver (UPD), UniPrint™ converts and encrypts print data into much smaller sized PDF print jobs, enabling fast data transmission and secure delivery of printing across multiple platforms from anywhere, on any user device, to any printer. At the same time, UniPrint's UPD negates the need to install multiple manufacturer printer drivers on the application server or VDI image, making printer deployment and management much simpler. As a result, Citrix network printing is much easier, more stable and more cost effective than ever before. Arron Fu is a member of the UniPrint.net leadership team and responsible for all aspects of strategic product development. Arron is the creator of the patented and award-winning UniPrint™ universal printer driver technology specifically designed for optimizing printing functionality and simplifying administration in multi-user, server-based computing environments. An IT industry veteran, prior to UniPrint.net Arron spent 15 years in the field of consulting, system installation/integration, and application design and development across business functions, processes and industries. He holds a degree in Computer and Electronic Engineering from the University of Manitoba as well as a number of industry standard qualifications.